If you own a house, and that house touches the dirt, you should be concerned. If you have stumps in your yard, or the neighbor’s yard, you should be concerned. If there is a history of termites in the neighborhood, or you have any kind of water/moisture conditions like faulty gutter drainage, or pooling water during storms near your house, you should be concerned. Even shrubs planted to close to a house can create a moisture footprint that can attract termites. Each year over 2 million buildings are invaded by termites, causing millions of dollars in damage annually. It doesn’t matter where you live. Cold weather offers no protection as termites will move below the frost line during the cold months, and remember, your home will leave a heat footprint in the ground in the winter. With the right circumstance termites can remain active all year long. I have seen live termites in crawlspaces in the middle of winter. Your home can be a target for termites. Even buildings and houses on concrete slabs are threatened by termites finding their way through small cracks (1/64 of an inch). Termites are so clever and efficient that no efforts at termite-proof construction methods have worked out completely successful. Yes! No house is termite proof, but some house will be more prone than others. Keep in mind there are always exceptions, but my experience is that poured concrete foundations tend to be less inclined to have termites. Stack stone foundation or block foundations offer little protection. Termites can move through stack stone foundations, and block foundations can crack below grade offering termites an invisible conduit to access your home. Dirt crawl spaces are notorious for termite activity, especially if there is a moisture condition. Some older constructed homes have crawl spaces with little or no access, and in some cases I’ve seen construction where floors were built touching, or almost touch the ground, clearly, a recipe for a termite problems. Often homeowners will insulate the basement ceiling limiting our ability to inspect the prone area of the sill plate, and let us not forget the perils of the finished basement. Remember, termites live in the ground, hence subterranean termites. Basement floors can be 4, 5, maybe 6 feet below grade. A basic understanding of construction will illustrate why finished basements are a concern. First the footings are dug below the frost line. On top of this footing, but not as wide as, is the foundation wall, be it poured concrete or stacked block. Soil is graded even with the top of the footing, at the base of the foundation. The concrete floor of the basement is poured on top of the graded dirt and 3 to 4 inches up the base of the foundation. I hope I didn’t lose you yet. When this concrete cures (verb: to make a material, especially concrete or cement, harden – dries) it will contract and create an expansion joint (gap). It is this gap that the footer of the finished walls of the basement is placed over. Now we have a wooden framed wall over the top of an expansion joint. Termites can access the footer by way of the expansion joint. From the footer they can move up the wall studs, to the floor joists, and if undetected they damage the sill plate, band beam, and sub floor. This is just one example to illustrate how construction flaws can lead to termites. Recognize the threat is real, and be proactive. Install new gutters or be sure existing ones are working properly. Minimize the use of mulch. The point of mulch is to help keep the roots of your ornamental plants moist, but keep in mind termites like moisture too. When you mulch next to your house, you create a moisture footprint next your foundation that could potentially attract termites. Don’t store unused wood, lumber or firewood on the ground anywhere near your house. Be sure water flows away from your structure, have sufficient drainage. First thing I would do is inspect the area and try to determine to what extent you have termites. 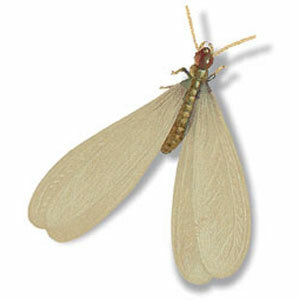 Generally I like to use the Ensystex termite monitoring and baiting program. The advantage to a monitoring/baiting is the ability to kill termites where they live, while also monitoring the soil adjacent to the foundation, and doing this without using gallons of pesticides. If warranted, we may use a pesticide application to strategically critical areas, on limited bases. It all starts with a good inspection. The monitoring is also a great way to be proactive. Our monitoring stations allow us to inspect the soil adjacent to the foundation for evidence of termite activity often before termites access your house. When termites are observed, corrective measures are taken. We draw a graph of the footprint of the structure with the location of the monitoring stations, record the events of each inspection, and store all of the inspection data for historical reference. It is a great program and it really keeps the homeowner connected to the process. For more information about termite remediation programs, or our termite pre-emptive program contact us by phone or email.